Our feet take constant abuse all day and are usually overlooked when it comes to our regular beauty regimen. Neglect leaves our feet looking, dry, calloused, rough and cracked. 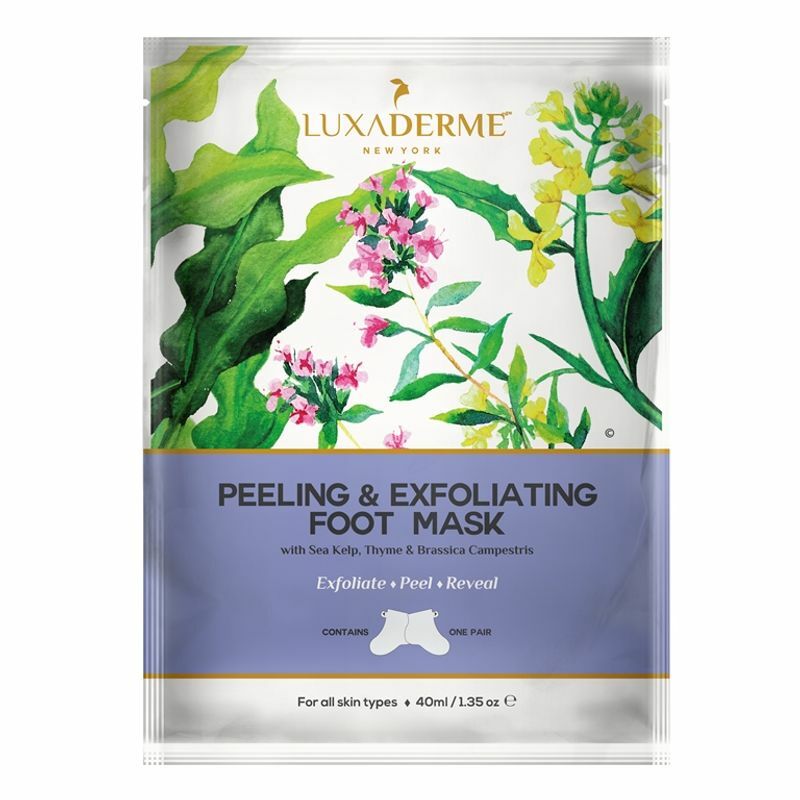 LuxaDerme Peeling & Exfoliating Foot Mask is a revolutionary product that helps take out the rough outer layers of skin essentially revitalizing the feet and revealing new skin. A single 90-120 minute application will turn your rough and calloused feet into being soft, smooth and supple in around 10 days. It is easy to use, effective, non messy and non sticky. This Foot Mask is infused with a rich blend of 30+ botanical extracts, Alpha Hydroxy Acid (AHA) & Beta Hydroxy Acids (BHA) and other specialized ingredients that combine together to revive and rejuvenate your feet. Explore the entire range of Foot Care available on Nykaa. Shop more LuxaDerme products here.You can browse through the complete world of LuxaDerme Foot Care .